Do you have a marketing team or want to do social media in house? At SMRT Social we love teaching businesses how to use social media and online marketing effectively. Let one of our Social Strategists work with your team to ensure your success! Many companies wonder if the team they have doing their social is really doing a good job for them. 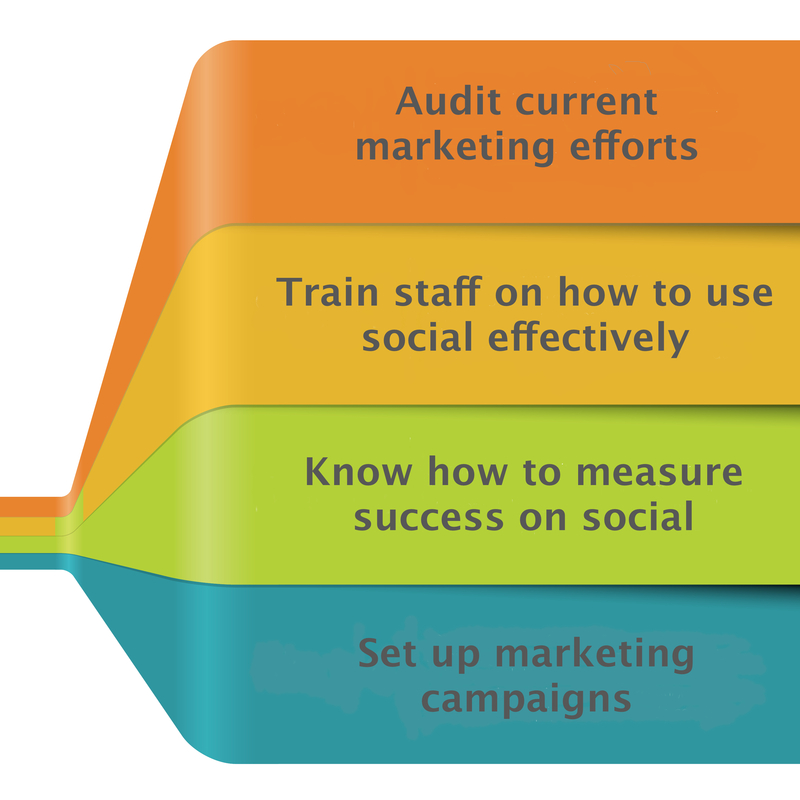 Often companies aren’t sure how to track or measure effectiveness of social activity. Let our team come in and show you what is working and what is not and how to make it better. W ith so many sites and ways to use social media it is easy to waste a lot of time. Our team can teach the best practices to your team and help create good habits to make it easier for them to be effective on social. Knowing how to find an ROI on social is the hardest part. Let us help you understand how to measure the right things to show the impact you social media is having on your business. Sign up now and let us give you tips and advice for your business!